Bicimakina Founder, Matthew Corson-Finnerty, with his pedal-powered air compressor. Photo by Colin Houck. 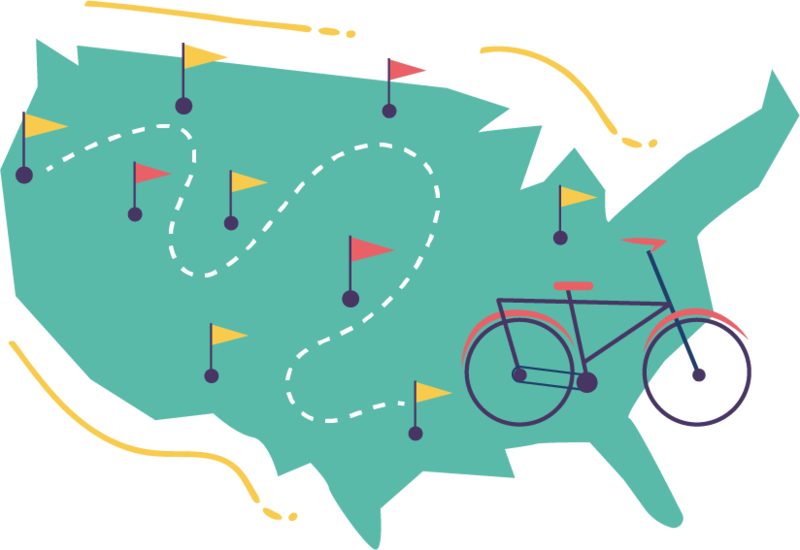 This fall, the Bicimakina team will be heading across the US on an epic bike trip to find and interview everyone who builds or uses Human-Powered Machines. Each week we'll feature the inventors, homesteaders, and business owners who choose muscles over motors. The trip will take approximately 12 months, and the exact route will be determined by the locations of the people who are going to be on the show. Our goal is to do a full loop across the United States, beginning and ending in the magical forests of Oregon. If you have, use, or build human powered machines (other than for transportation) (cause, well, it's pretty covered) you could be featured on an episode! Tell us about your project. Know someone who you think would be interested in being on the show? Please forward our website to them! Think there's somewhere we just HAVE to visit, like East Jesus, Ithaca's Gorges, or Refrigerator Stonehenge? Email me with your ideas (matthew at bicimakina dot com). We're also happy to have safe places to pitch tents and take showers if you're inclined to host! Click the red icon to check out the Bicimakina YouTube Channel. Subscribe and then click the bell for notifications! Check out our the Bicimakina Facebook page for updates, event listings and more. If you prefer the simplicity of Instagram we’re there too.